The 1960s saw an increasing movement of villagers away from their rural homes and traditional lifestyles as farming and fishing became less viable. 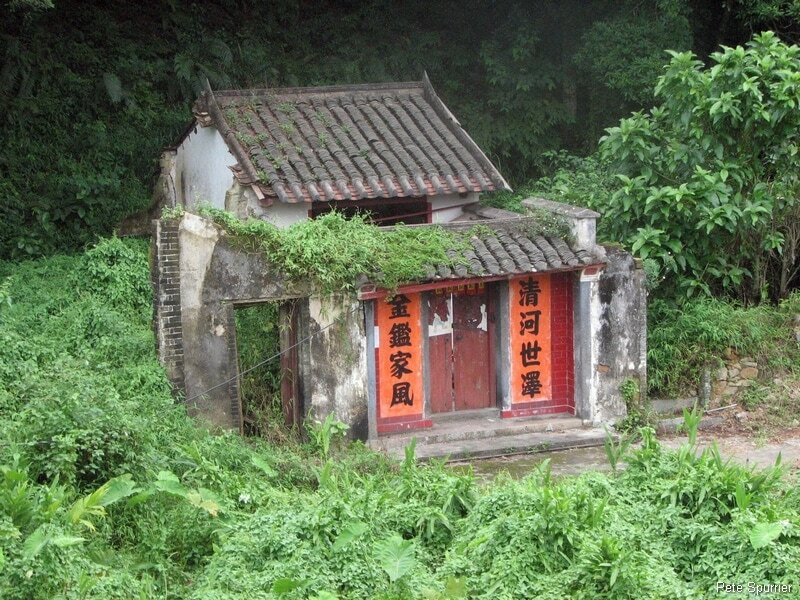 Hong Kong’s humidity, wet season and fast-growing foliage can consume a traditional village house remarkably quickly. First to go is usually the tiled roof, exposing wooden beams which then rot and fall inward. The side walls follow. Often the last part of a house left standing is the front doorway with its stone lintel. Liverpool-based writer Po Wah Lam grew up in a village inside the closed frontier area, close up against the border with China. Like many others, his family upped sticks and moved to the UK in the 1970s. He recalls a vanished lifestyle. “Somehow I remember when I was three,” he says. “It was night-time and I was running with our dog past rice fields. In front of me was grandmother and the only guiding light was the torch she held. My grandmother was very kind and often gave food to passing strangers, especially those from the north. “I was a seven-year-old country boy when I left the village, yet somehow I never really left. For a long time I kept returning to it in dreams. These were very happy dreams and they were always the same: the field, the dog, all marching in to welcome me back. When finally I did return for real, as an adult, the feeling was cinematic. And yet the place felt and looked smaller than I remembered it, and also very empty. My unexpected overnight stay in So Lo Pun took place 20 years after Lam’s family left their village life behind, but mobile phones were still not commonplace, so I had no way of calling for assistance. The rain didn’t let up, so I took shelter first under the slanted roof of the village shrine, and then inside a low, open-fronted shed which housed grimy bone jars. A heavy animal stomped unseen around my hiding place all night, kicking over stones. When dawn came, and with it an end to the downpour, I hiked around the coast – passing through another ghostly settlement of empty houses in a bay with a clear view of mainland China – until, in the early evening, I finally came to a phone box at an inhabited village called Kuk Po. I was quite keen to call the Wan Chai restaurant where I worked. I was 24 hours late for my shift, a personal record. Luckily my boss roared with laughter down the phone line. 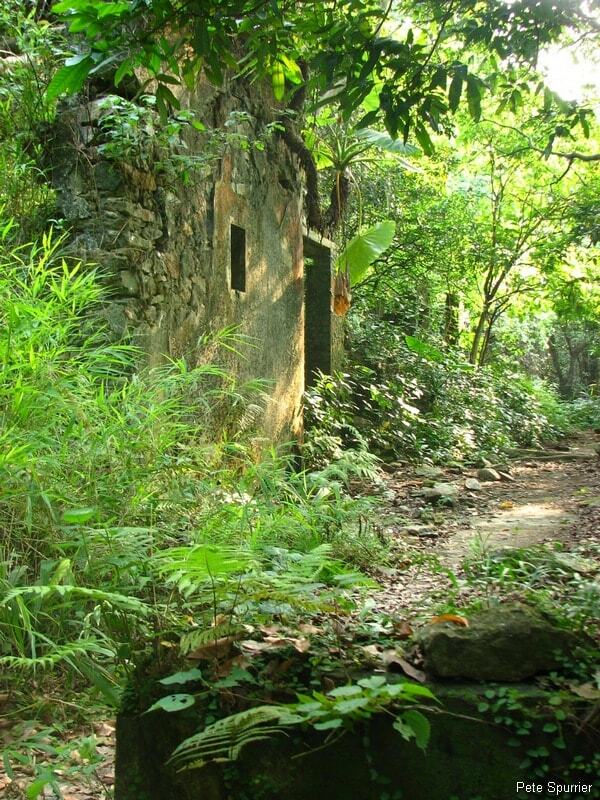 If you have hiked in the hills of Hong Kong, you have probably come across similarly eerie villages, some overgrown but others apparently deserted just yesterday. It might seem odd that in a city where land is so valuable, so many beautifully sited residences are left empty. But location is everything. The following forsaken villages are some of the most intriguing. Planted deep in the forest of Pat Sin Leng Country Park, Wang Shan Keuk is perhaps the model of a spooky woodland village. It has been disintegrating for a long time, and the remaining walls and doorways are overgrown with creeping vines and sprigs of red berries. The location is so far from any market town, it’s hard to imagine how farming was ever viable here. Maybe the villagers transported their produce to market by sea, in which case their lives would have been transformed beyond recognition when the inlet was dammed in 1960 to create the giant Plover Cove reservoir. 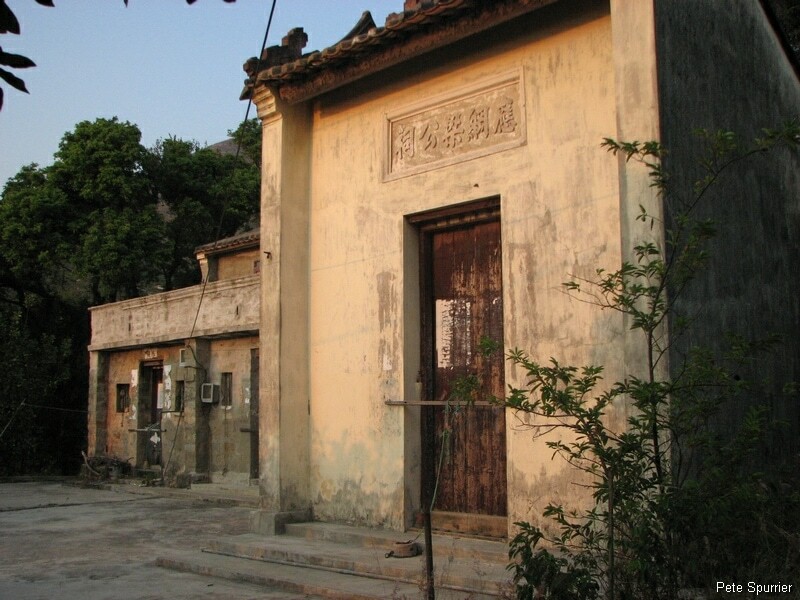 Fan Lau has twice been abandoned by its inhabitants. 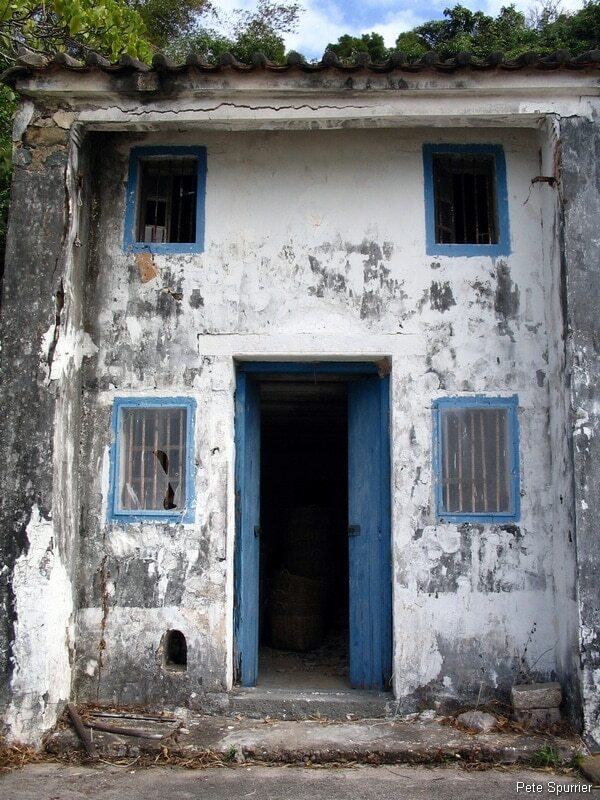 A Qing-dynasty fort on the cape here was evacuated by its soldiers before the British moved into Lantau Island in 1898, and the village which had a hundred residents just 30 years ago is now a ghost town of banana trees and locked-up houses. Despite its beautiful setting, on a tombolo between two sandy beaches, there’s a melancholy air to the place. The single-room school is open to the elements, desks and chairs simply left there after the teacher packed up and left. In the 1980s, a proposal to site a new power station on the peninsula led to some new blocks of flats being built on the edge of the village, but the proposal fell through. The flats still stand there, ruined by the weather, abandoned even before they could be lived in. Set on the quietly lapping shore of Tolo Harbour, Sham Chung is a wide, fertile valley crossed by a network of streams which lead to a bund. The old houses are larger in size than you will typically find in New Territories villages, suggesting a degree of wealth, but clearly not enough wealth to entice the population to stick around. Gates and windows were locked when the inhabitants left, and bamboo poles tied in doorways to prevent wild cattle pushing their way in, but most villagers never came back, and many doors now hang off their hinges. Step inside the houses and you will see family photographs still adorning the walls. This remote island has the distinction of possessing Hong Kong’s only radiation shelter, thanks to its proximity to the nuclear power station at Daya Bay on the mainland; but it’s unlikely ever to be used because no one lives here. 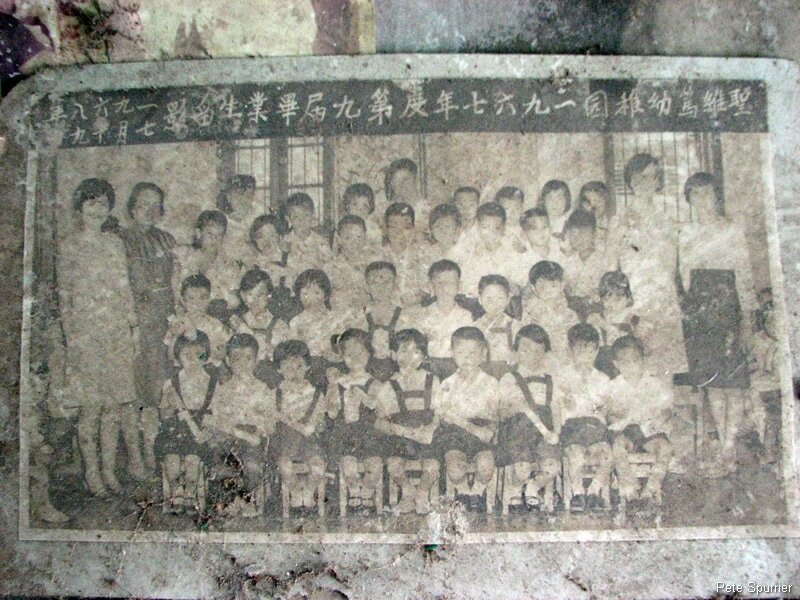 It was a busy place in the 1960s, when refugees swam to it from Guangdong to escape the Cultural Revolution, but now its half-dozen villages stand mostly silent. The island springs to some sort of life at weekends, when day trippers arrive to see its unusual rock formations and offshore coral, but if you seek solitude, Tung Ping Chau during the week is the place to be. High up on a plateau, hidden from the world’s eyes by a ring of hills, you might think only holy men and hermits would live in such a place as Sha Lo Tung, but in fact two villages were built up here. It’s on a little-used hiking route, and one house sells drinks and tofu dessert to passing walkers, but the other buildings are gradually dissolving into their lush surroundings. It wouldn’t be the New Territories if there weren’t a hidden land struggle going on between developers, indigenous villagers and green groups, but Sha Lo Tung’s importance as a dragonfly habitat has kept it unspoilt until now. You can hire a sampan lady to take you out to Yim Tin Tsai, a small island off Sai Kung town which was once densely populated, mostly by Christians. Their restored church is still in good condition but the village itself is deserted. Wander into the houses and you can see the traditional layout of rural homes: one large room, with a wok station on one side, washing facilities on the other, and a raised sleeping platform at the back. Letters and postcards from family members working overseas can even be found left on bedside tables. It’s hard not to wonder: who were these people, what made them leave, and where did they go?